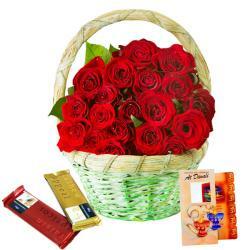 Product Consist : Celebration Chocolate Pack (Weight : 118Gms) 16 Pcs Ferrero Rocher chocolate Box along with Diwali Fire Crackers (Worth Rs. 300/-) (Note: Firecracker will be deliver as per their availability no specific choice for it). Celebrate the diwali with full on enjoyment and positivity. 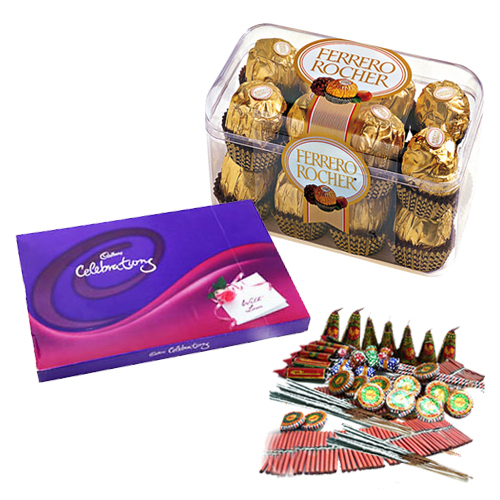 Grace your guest with this gift of chocolates like 16pcs ferrero rocher chocolate box cadbury celebration packcrackers of worth Rs 300. 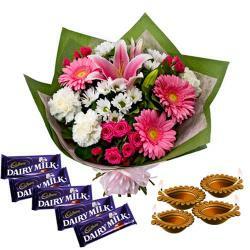 This gift pack has a special sweetness in its style and combination. This combo represents the power of love and care. 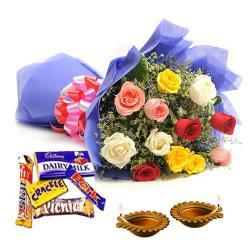 Product Includes : Celebration Chocolate Pack (Weight : 118 Gms) 16 Pcs Ferrero Rocher chocolate Box along with Diwali Fire Crackers (Worth Rs. 300/-) (Note: Firecracker will be deliver as per their availability no specific choice for it). 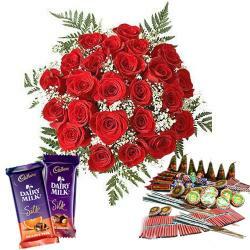 Roses n Chocolaty Diwali Combo !